Tilly and the Buttons: #LoveAtFirstStitch Day! Today's the day! 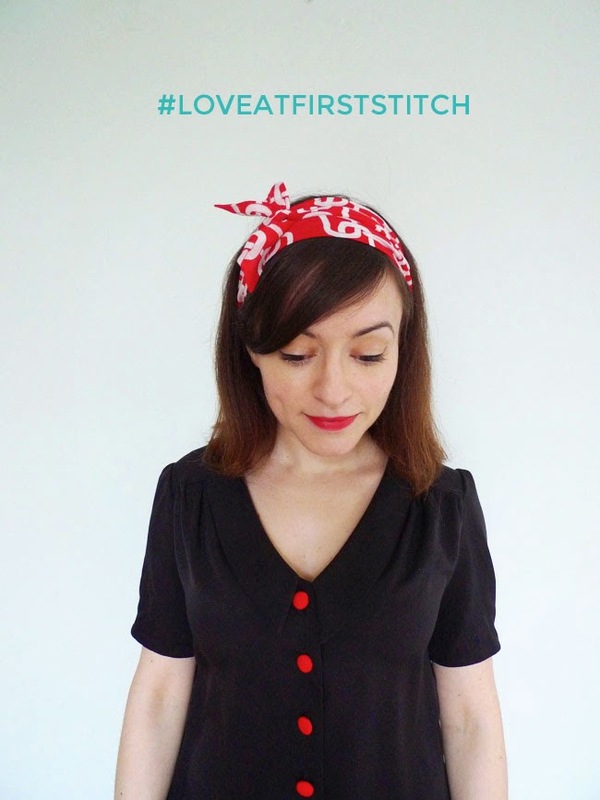 My book is in the shops (incl my shop, Amazon UK, haberdasheries and all good bookshops) AND it's the #LoveAtFirstStitch Online Book Launch Party! 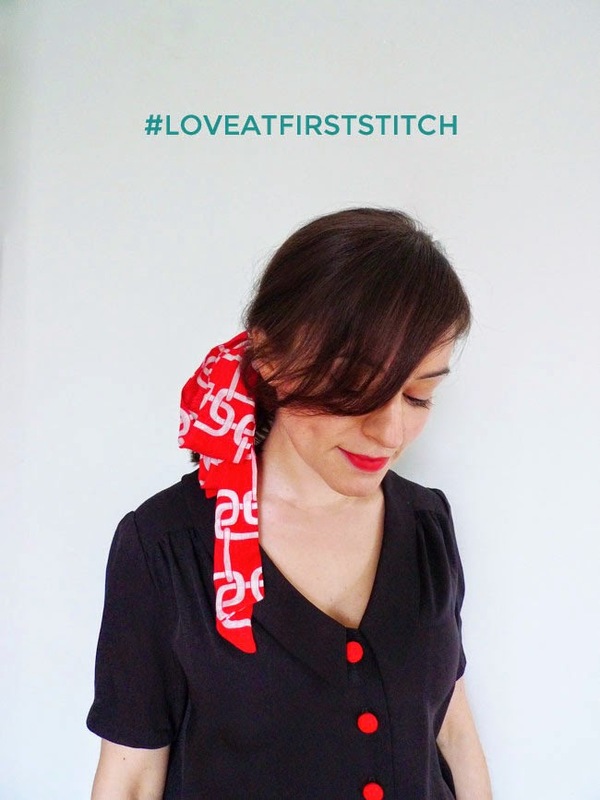 Stitching enthusiasts old and new are sharing pictures of themselves online today posing in their Brigitte scarf, using the hashtag #LoveAtFirstStitch. It's so wonderful to have you join in the celebrations with me! I've started adding the pics to the gallery on Pinterest - everyone is looking fab. How do you wear yours? Do join in! Tweet me a link to your photo and I'll add it to the gallery. I like to tie a scarf around my neck, but today I'm using the Brigitte scarf as a morning-after-the-night-before-hair solution. Last night I celebrated the launch of my book with the publishers, everyone who worked on it, family and friends. I'll share more on that tomorrow, but all you need to know for now is that today I'm teaming the Brigitte scarf with one of the Mimi blouses from the book plus a whole tube of concealer under my eyes!